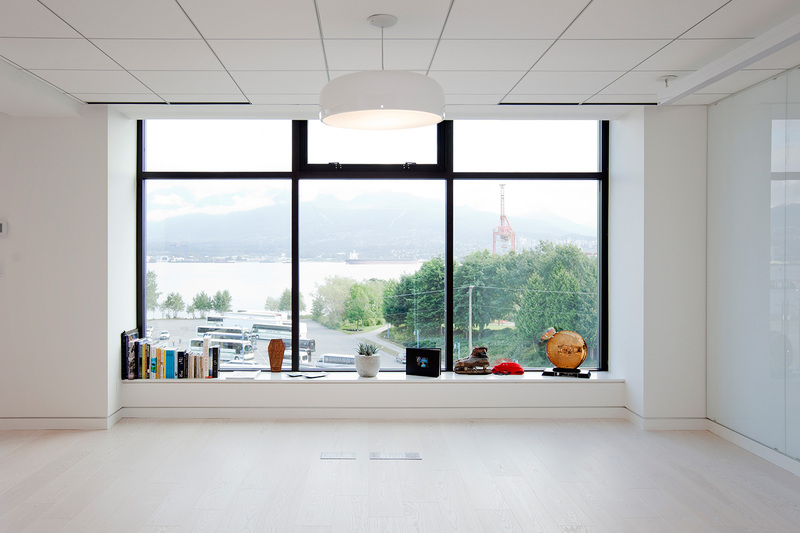 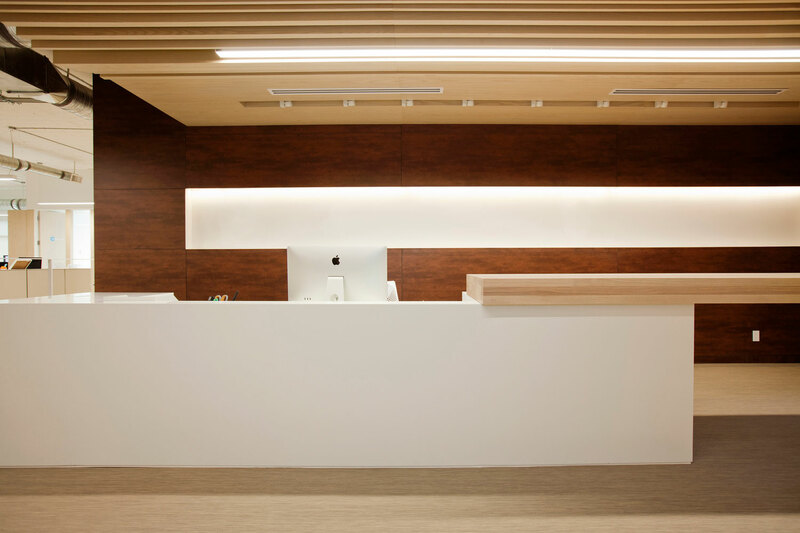 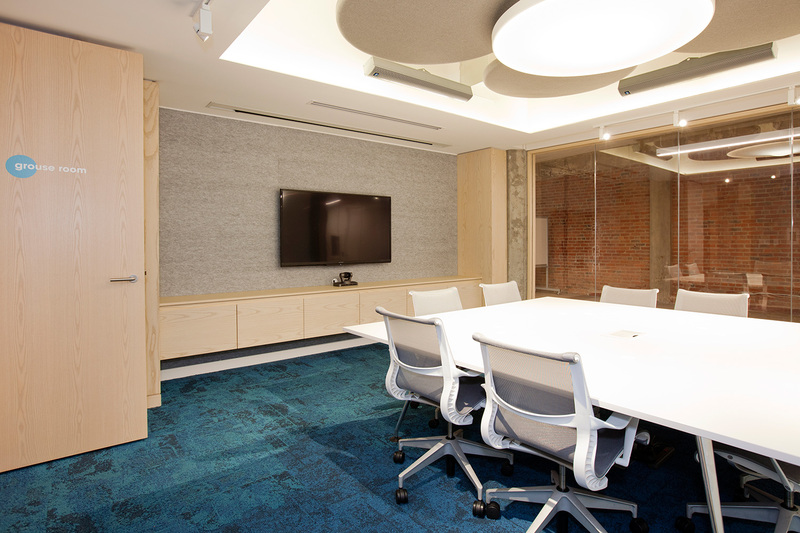 As a contrast to the existing rusticated concrete structure, a modern and light ash wood palette was combined with neutral colored felt wool hanging panels and white workstations to create a serene and calming work environment. 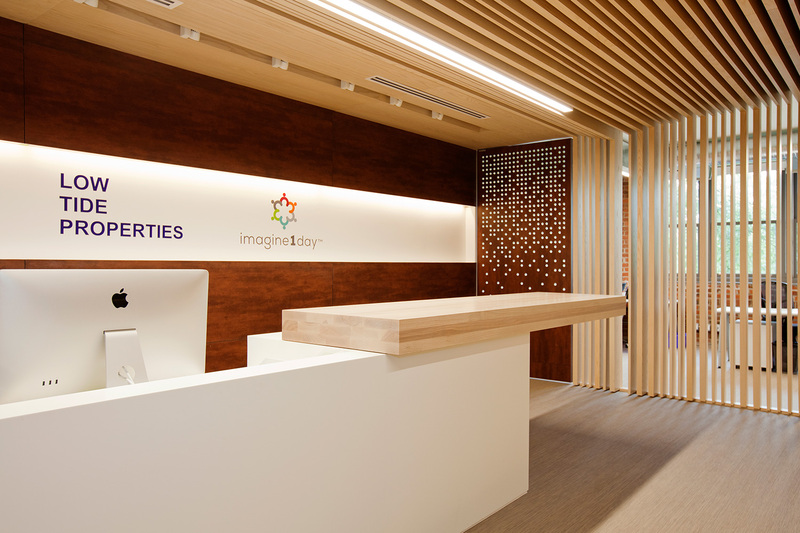 Features include a cor-ten steel reception wall and perforated privacy door, a solid ash bartop for gathering at the front desk and a central meeting room with felt acoustic walls and ceiling panels by buzzispace. 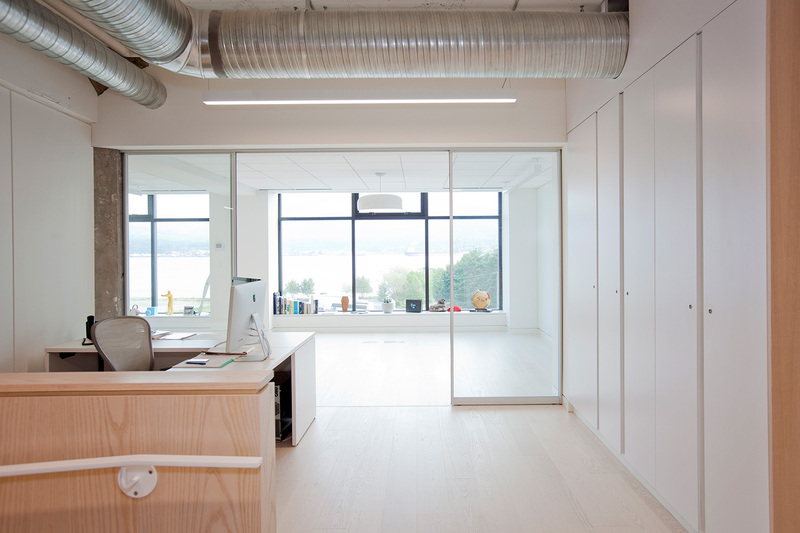 The kitchen features a marble and solid ash countertop combined with an acoustic shade made by buzzispace. 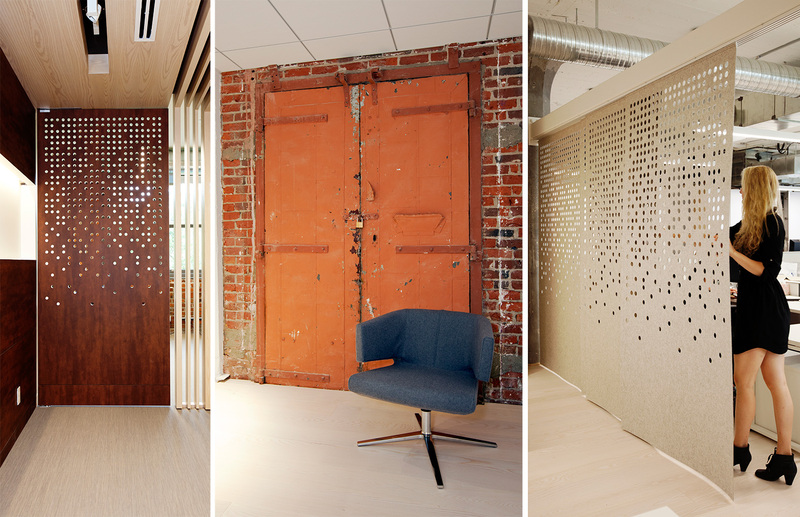 The sliding felt panels are by filzfelt and create temporary separations for privacy when required.